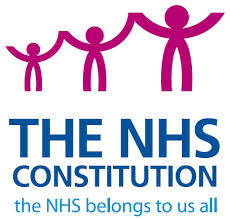 The NHS has been one of the key battle grounds of the recent debate on Scottish independence. Those in favour of maintaining the Union argued that the health service would only be safe in their hands. Those who supported an independent Scotland put forward a case that maintenance of the status quo would eventually lead to the destruction of this cornerstone of the welfare state. Regardless of which side you voted for, there can be little doubt in your mind that Scotland is passionate about its health service. It is worth pausing for a moment, however, to consider what exactly it is that inspires so many people to argue so vociferously about it. There are probably three things to consider. First, people are passionate about the NHS because it is free at the point of delivery. No matter how bad things are, or how ill you are, the NHS will care for you. Second, the NHS is a symbol of the good things about our society; its compassion for others, its commitment to social justice and it’s care of the vulnerable. Finally, we are inspired by the day to day work of the nurses, doctors and allied health professionals who care for us and for those we love. While these are all things to be proud of, the image of the caring health worker has been damaged over recent years. In particular, the Francis Report (Francis 2013) has shaken public confidence in the care provided by the NHS. While it is tempting to point out that this details concerns about care in only one NHS Trust in England, there is no reason to be confident that similar problems do not exist across other areas of the UK including in Scotland – the report into care in the Vale of Leven being testament to this. An outcome of these reports is that where nurses and doctors were once viewed as angels and demigods, they now find themselves less trusted, more open to criticism and often accused of lacking basic compassion for their fellow human beings. 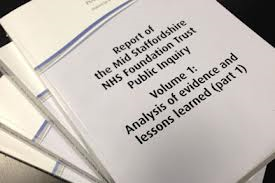 One of the most troubling aspects of Sir Robert Francis’ report was the observation that a great many staff were aware of the significant failings in care that were rife in Mid Staffs NHS Trust, and many of those who knew did nothing about their concerns. This failure to act is contrary to organisational policies, flies in the face of professional codes of conduct and is the antithesis of what the public expects from those it trusts with the care of self and loved ones when ill. Given this, it is important to think about the factors that might lead to what seems to be abnegation of responsibility (Ion et al under review). One suggestion put forward in the popular press is that things were somehow better in the past and that the modern nurse is no match for her ‘angelic’ predecessor, this idea is linked to the way in which nurses are currently educated, resulting in a caricature of the graduate nurse who is ‘too posh to wash’ and by extension, too clever to care. The evidence to support this view is not only absent, but the argument has also been empirically refuted in research with better health outcomes associated with better qualified nurses (Aitken et al, 2014). Two other arguments have been put forward to account for the failure to act on the part of the biggest professional group involved at Mid Staffs – nurses. Both potentially provide insight into what might have prevented ordinary, decent nurses and their colleagues from other disciplines from responding in the face of concerns about patient care. According to Paley (2014) it is the context in which the failures took place that is key to understanding the absence of positive action on the part of those who were present. Drawing on an experiment from social psychology, in which trainee priests failed to attend to a prostrate individual in a public place, he argues that overworked nurses facing multiple demands on their time and competing priorities, did not report poor practice not because they did not care, but rather because they simply did not notice what was going on in front of their eyes. In this view, the nurses did not lack compassion, they just failed to register the fact that a problem existed. It is not difficult to imagine circumstances where very busy staff missed or misinterpreted cues to which they would otherwise have responded. Randall and Mckeown (2014), suggested something similar when they argued that poor staff to patient ratios caused by chronic underfunding has created a situation in which healthcare workers are simply too busy to notice what is happening around them. Like Paley they argue that staff do not lack compassion, rather they lack the time, training and support that would enable them to practice in a compassionate way. A view was put forward by Roberts and Ion (2014a and 2014b). Drawing on the work of the public intellectual, Hannah Arendt, who, among many other issues, tried to understand how otherwise ordinary people had come to play a role in the Holocaust. She controversially concluded that they had done so not because they were monsters, but because they focused on the process of their involvement, rather than the aim of the work in which they were involved. In Arendt’s view, this failure to consider the moral dimension of their actions allowed ordinary people to participate in monstrous acts, while also maintaining that they were not personally accountable for the ultimate outcome of their participation. Roberts and Ion draw a parallel with Mid Staffs, albeit on an entirely different scale, to claim that those who failed to report poor care did so because they were unable to see beyond the immediate aims of their day-to-day work – the management of waiting lists and the meeting of targets – when they should have been focussing on the experience of their patients who were all too frequently neglected. In conclusion, we have put forward three different arguments which have been used to account for the failures in care that have so dented the image of the health professionals in recent years. We reject the notion of ‘too posh to wash’ – who wants a less well educated nurse, doctor or allied health professional? We firmly believe that if we are to avoid another Mid Staffs or another Vale of Leven, we need well-educated practitioners. We also believe that they should work in well-staffed teams – understaffing will not result in good care. Finally we need staff who can think beyond the daily grind, who can make judgments about the impact of their actions and inactions on patient care and, above all else, staff who can think about, and empathise with, the person at the centre of all this, the patient. 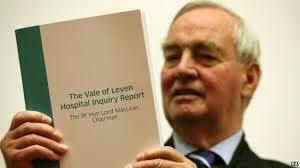 Francis R. (2013) Report of the Mid Staffordshire NHS Foundation Trust Public Inquiry. Paley J (2013) Social psychology and the compassion deficit. Nurse Education Today 33, 12, 1451-1452. This entry was posted in Uncategorized and tagged Francis Report, Vale of Leven Report. Bookmark the permalink.